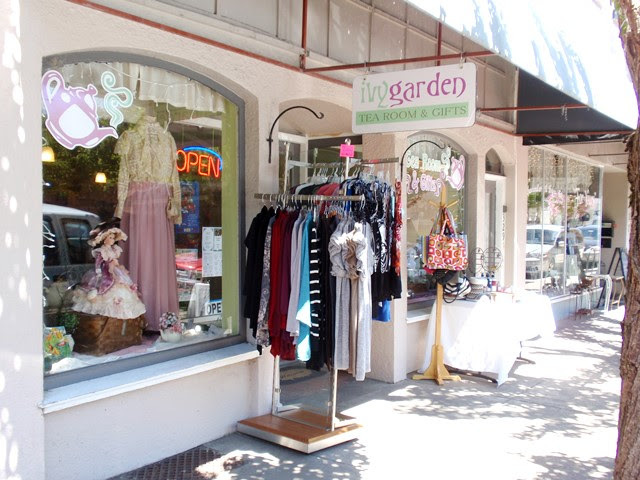 Ivy Garden Tea Room is located on West 1st Avenue by Northwest Ferry Street in historic downtown Albany, Oregon. As a former Albany resident, I couldn't pass up an opportunity to meet a dear friend from high school here for tea. The tea room has been under new ownership for a little over a year and a half and reviews have been more than promising. 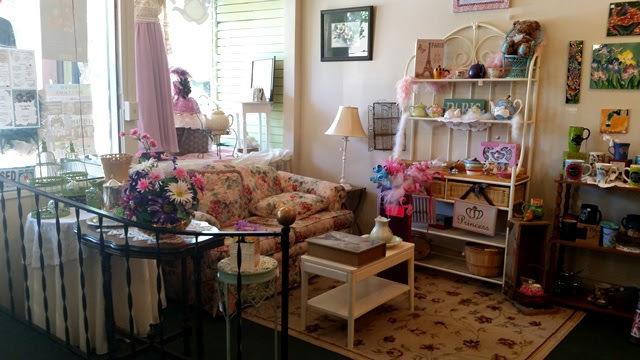 Inside, a gift store occupies the front of the tea room with two seating areas for guests to relax. We arrived just as a large bridal shower party were preparing to depart and, while the staff were busily assisting these guests and tidying up, they still made time to offer us a friendly greeting and a seat at our table. 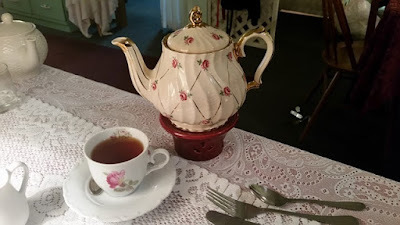 On more than one occasion, I have been turned away from tea rooms whose staff could not handle the full capacity of their tables, so I was impressed. Since we were in no hurry, we opted to enjoy browsing the many delightful locally-crafted gifts for sale. 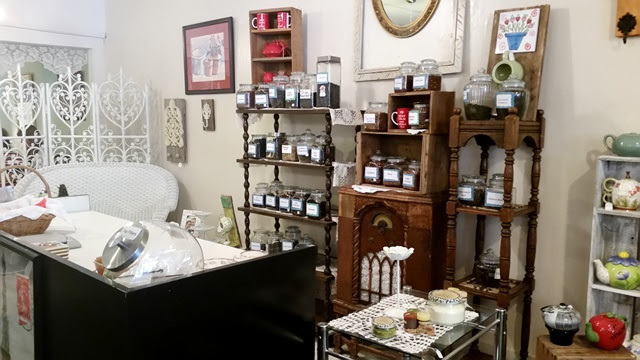 Tea and teaware are also available for sale so you can stock up on your favorite selection following afternoon tea. Meals are served in the drawing room toward the back. 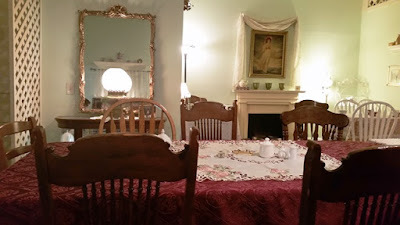 Tables are set with tasteful linens and dinnerware. Lighting is intimate and, though the room doesn't seem large, it comfortably seats quite a few people. Ivy Garden Tea Room offers four traditional teas, including a Madhatter Tea for children, as well as sandwiches and quiche, soups, salads, scones, cakes, and other baked goods. Almost everything on the menu is made fresh. 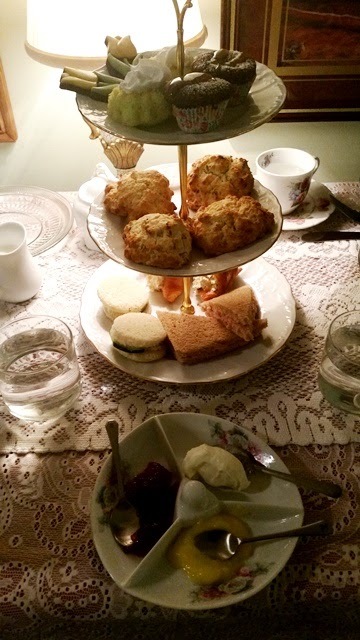 Gluten-free scones and sweets are available with 24 hours notice. For my celiac friends, please note that all baking is done in the same facilities. The tea menu includes a nice variety of black teas, green teas, and flavored teas, as well as herbals and tisanes. For this visit, we enjoyed the Queen's Tea and my tea selection was Irish Breakfast. The teapot was kept on a warmer and refreshed upon request. 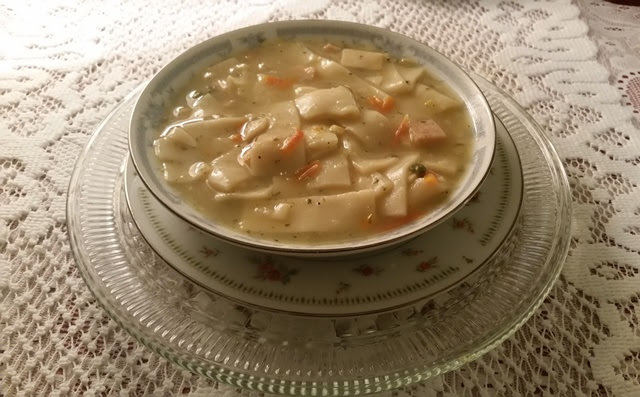 The first course was a hearty and delicious homemade chicken soup followed by three tiers generously filled with savories, scones, and sweets. Thanks to the courteous and hard-working staff for making this a memorable long overdue visit! 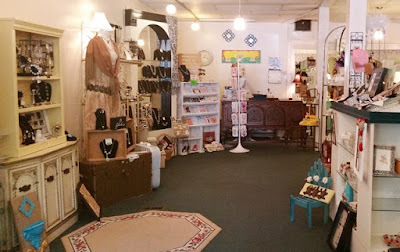 Drop-ins are welcome for lunch and reservations are preferred for Afternoon Tea.